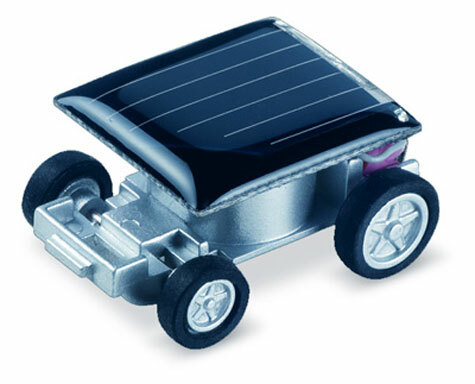 Solar cars are, unfortunately, still in the research and development phase, although we saw one recently that drove from Texas to New York in 5 days. Despite being impressive, it’ll likely be years before we have one sitting in the driveway, charging. Until then this working miniature model will have to keep us entertained. This is the first human powered vehicle (HPV) to have a carbon fiber monocoque chassis, the same material found in the fastest high-performance Formula 1 automobiles, making it the worlds most advanced three-wheeled velomobile. 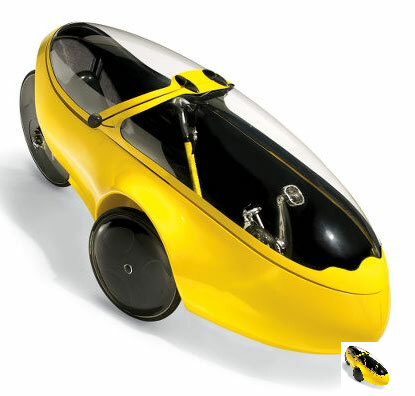 Designed by world-renowned designer Michael Goretzky, the customized vehicle combines the low-impact exercise benefits of a recumbent bicycle with the stability of a three-wheeled cruiser and the aerodynamics of a concept automobile. Rare opportunity to own 1 of only 24 in the U.S. 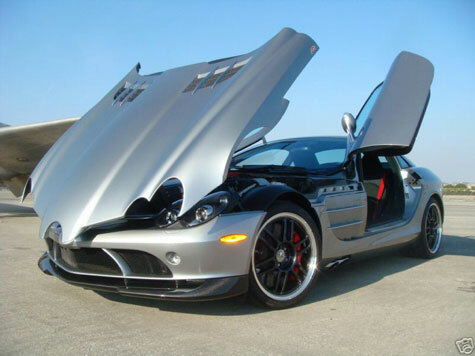 When a regular SLR just won’t do, you need the McLaren SLR 722 Edition. Here is your opportunity to own one of the fastest, rarest and most exotic cars on the planet. Only 24 722’s were made for the U.S. Market, and one was totaled, so this is one of only 23 left. This car is the standard color for the 722, which is Crystal Antimony Grey with Semi-Aniline Leather and Alcantara interior. It is simply gorgeous. It has only 1,613 miles (may be more by the time of sale) and the car is in perfect condition. You may never have another chance to own a 722, so don’t miss this one. With the flick of a switch, the color of this Nissan will change to match your mood or your outfit. The designers and engineers have worked out a way to rearrange the molecules in the paint so that when an electric current passes through them, the eyes perceive a different color. The colors can be controlled by the drivers. Since it requires electricity, the default color is white. General Motors has sponsored an MIT Media Lab project to address “the last mile” of public transportation. The carbon-free, stackable, electric rental car will debut next week at the EICMA Motorcycle show in Milan. 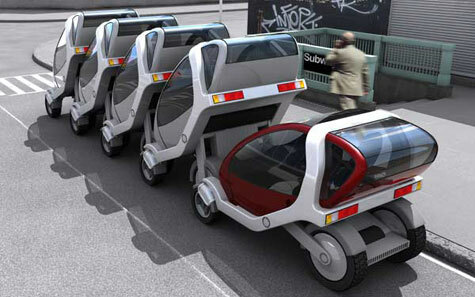 “The MIT group sees the vehicles as the linchpin in a strategy that aims to mitigate pollution with electric power, expand limited public space by folding and stacking vehicles like shopping carts, and alleviate congestion by letting people rent and return the vehicles to racks located near transportation hubs, such as train stations, airports, and bus depots,” Technology Review said. This peculiar looking single occupancy vehicle is called the Eco & Ego. With a quirky name like that, you can expect a lot more wackiness inside. 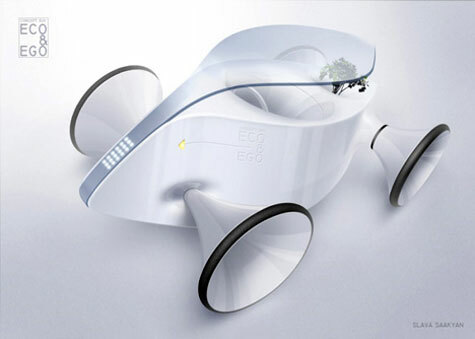 The idea behind this “EE” car is pets, yes pets. Not a dog or cat, but a plant. The plant sits above the engine bay in clear sight of the driver. It’s hooked up to some futuristic electronics and can tell you how “polluted” you were that day. There’s also an extension to the idea in that you take your plant out every time you drive, sorta like walking your dog. The “Smart Drive System” is designed for luxury SUVs and sedans located beside the driver. 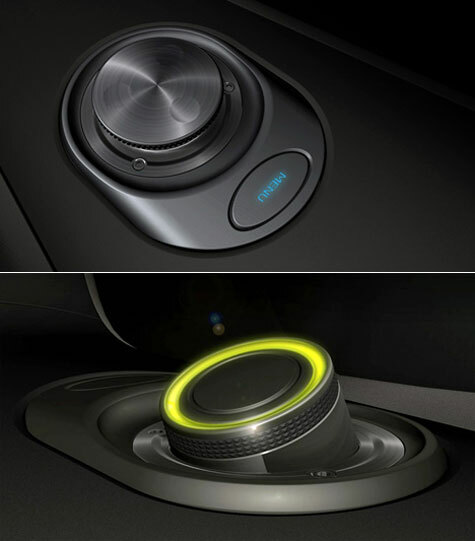 The driver can easily control the infotainment system by using this device without even looking. The design is supposed to invoke the powerful mechanics beneath all the sheet metal with styling and fine metallic finishings bringing everything together. 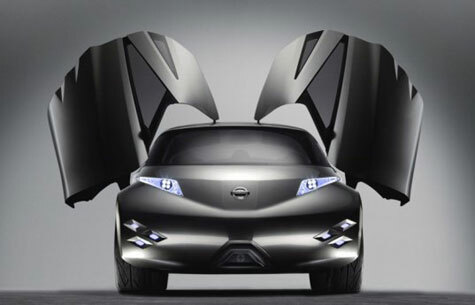 Nissan is turning its eyes to young potential customers at the forthcoming Frankfurt motor show with its Mixim concept coupé. Young drivers “mostly engaged with their computer and the world via the internet” will feel at home inside the Mixim, where the steering wheel and controls have been inspired by interfaces familiar to gamers. 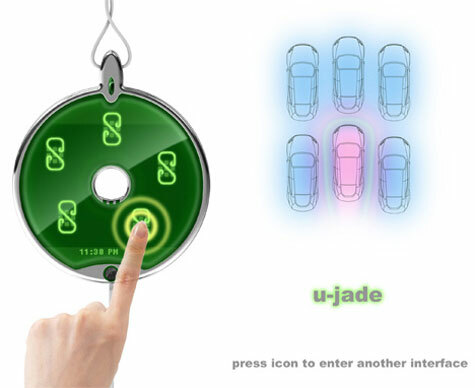 U-Jade concept is a device that communicates the location and path of other U-Jade equipped vehicles. This help you drive smarter, choosing routes that might be less busy. The device itself looks like a piece of Chinese jade jewelry cut into the classic shape that symbolizes security. Canadian super car manufacturer Locus is ready to “drop a bomb” on the automotive industry with its new “750 hp” or “1300 hp” powered automobile named the PLETHORE. The 2007 Locus PLETHORE, nicknamed the “Quebec Bomb”, is the first Canadian super car that features an exotic design matched by amazing power.